The Swedish apply lagom to most aspects of their life without thinking about it. This book will show you how lagom can be incorporated into your personal life, family, relationships, work, home, health, and wellbeing. Living lagom is to live a moderate life where balance is the key to success in all areas. To encourage you to create a healthier lifestyle the lagom way, this book includes some easy Swedish recipes. Why not surround yourself with family and friends and cook together? This is a good activity to enjoy together instead of eating out. To conclude the book, there’s a 21-day challenge with ideas to help you live a more lagom lifestyle. You can try everything from self-care to new activities, and get useful tips on how to clean up your home and your life once and for all. 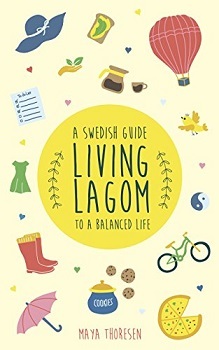 ‘Living Lagom – A Swedish Guide to a Balanced Life’ is the latest release from USA-based Scandinavian lifestyle coach, Maya Thoresen. She takes the concept of lagom and suggests ways of applying it to every aspect of our lives. The cheerful cover is eye-catching and clearly represents the contents of the book. The reader has an idea of what to expect before they turn the page. The first few chapters are taken up with trying to define ‘lagom’ from its origins in etymology to current usage. It basically appears to mean not too much or too little but just the right amount. This will be different for each individual so it is a subjective, slightly abstract hypothesis and open to interpretation but the idea is to live a balanced, contented life in equilibrium and harmony with our surroundings and others. The author then sets about helping us to look at ways of achieving this. This was an easy book to read and I was delighted to find that without realising it, I am already living lagom in most areas of my life. I love a list, recycle regularly, have never had a problem decluttering my house or pruning my wardrobe, buy local produce and eat leftovers for lunch. I did like the suggestion regarding impulse buying and will definitely be putting that into practice from now on. 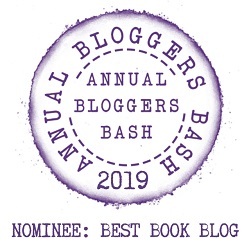 When I looked for this book via an internet search, I found several on a similar theme by a variety of authors, so there is clearly a lot of competition in this area. It is quite short at 55 pages and there are some nice touches, including Swedish recipes and a 21-Day challenge at the end. It is always interesting to gain insight into the way of life in different countries. Conversely, I am left wondering slightly if this really breaks any new ground or if it is just another de-stressing, life-coaching book? It will be for other readers to decide if they think I am being cynical. If you like motivational self-help books, there is no reason why you would not enjoy this; it is well written and would make a nice stocking-filler at Christmas. I award ‘Living Lagom’ a very competent three-and-a-half stars. Maya Thoresen is a Scandinavian lifestyle coach. She immigrated to the United States when she was twenty and was stunned by the hectic way of life that many Americans practiced, as well as the high rates of suicide, depression, heart disease, and other stress-related illnesses. She now works as a writer and mentor, helping people make their lives both simpler and richer at the same time. She has written books on Hygge and Lagom to reach people who are caught up in the hustle of commercialized life and who have forgotten to enjoy the simpler moments. Gorgeous cover. But yes, I have yet to read any of this ‘motivational’ stuff, anywhere, in any format, that breaks new ground. Most of it is just common sense, and has been said over and over and over and over…. If you know nothing of their culture then I can see this book being of interest to you. It’s a similar concept to last years Hygge.